BB cushions are all the rage right now in Korea and have been for the past year. Since carrying BB cream in its traditional tube can be a hassle, the BB cushion compact is essentially BB cream in a travel friendly package. BB Cushions were created so that women can easily touch up their makeup on the go as well as reapply sunscreen throughout the day. The trend hasn't quite migrated over yet to the States from Korea, so for now there are very few options freely available here. 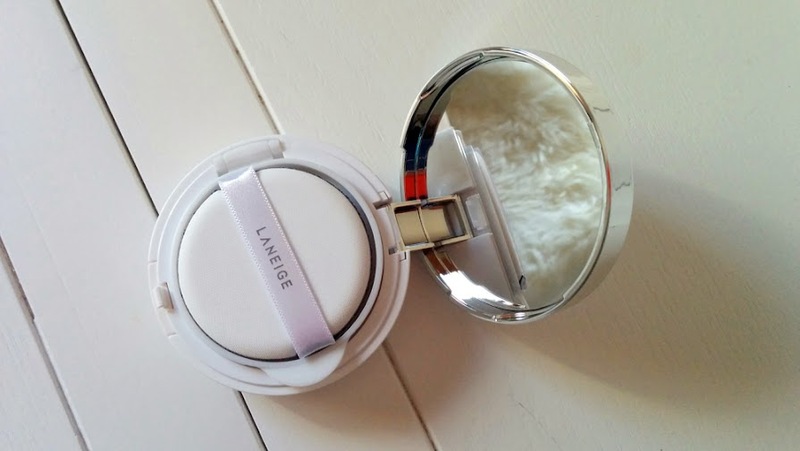 Luckily, since Target has started carrying the Laneige line, I decided to try out the Laneige BB Cushion for myself! 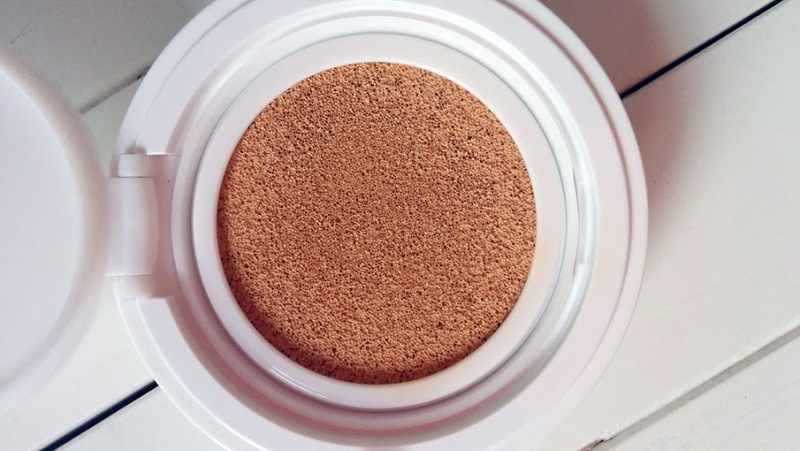 Water,Cyclopentasiloxane,Cyclohexasiloxane,Phenyl Trimethicone,PEG-10 Dimethicone,Butylene Glycol Dicaprylate/Dicaprate,Lauryl PEG-9 Polydimethylsiloxyethyl Dimethicone,Arbutin,Butylene Glycol,Acrylates/Ethylhexyl Acrylate/Dimethicone Methacrylate Copolymer,Polyhydroxystearic Acid,Sodium Chloride,Aluminum Hydroxide,Polymethyl Methacrylates,Stearic Acid,Triethoxycaprylylsilane,Phenoxyethanol,Disteardimonium Hectorite,HDI/Trimethylol Hexyllactone Crosspolymer,Isostearic Acid,Ethylhexyl Palmitate,Lecithin,Isopropyl Palmitate,Polyglyceryl-3 Polyricinoleate,Ethylhexylglycerin,Acrylates/Stearyl Acrylate/Dimethicone Methacrylate Copolymer,Melia Azadirachta Extract,Yeast Extract,Dimethicone,Trimethylsiloxysilicate,Disodium EDTA,Dimethicone/Vinyl Dimethicone Crosspolymer,Silica,Manganese Sulfate,Zinc Sulfate,Magnesium Sulfate,Camellia Sinensis Leaf Extract,Caprylyl Glycol,1,2-Hexanediol,Fragrance,Titanium Dioxide (CI 77891),Iron Oxides (CI 77492),Iron Oxides (CI 77491),Iron Oxides (CI 77499). Compact opened revealing the sponge's resting place. Second layer revealing the cushion. I'm sad to say that I wanted to love this product but it just wasn't right for my skin. However, it wasn't all bad and I'll start with the good points first. The formulation gave fairly decent coverage and if you're looking for a BB cream that can give medium matte coverage, this will be perfect for you. I was able to build up the areas where I needed more coverage bit by bit and the formula was good at not caking up. I still needed to conceal however, so it wasn't enough to cover up all my trouble spots. It was easy to apply, and fairly easy to blend as well. I also loved the big mirror that came with the compact. 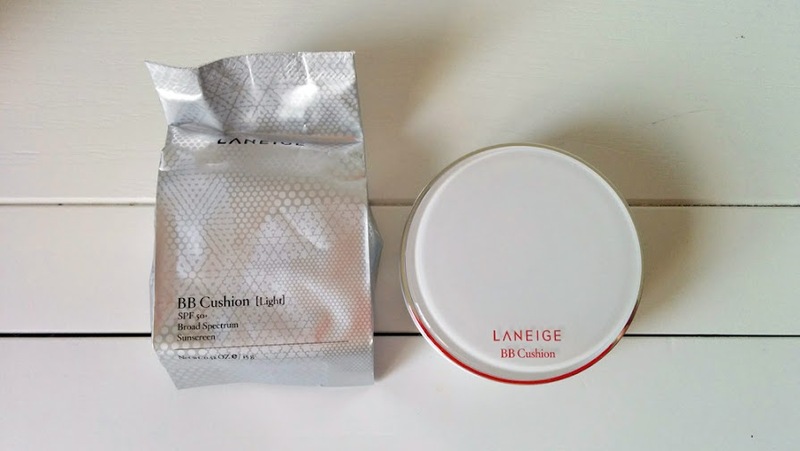 In addition, unlike the traditional BB cream shade selection which is limited to "lighter" shades, the Laneige BB Cushion comes in two additional shades Medium & Dark. 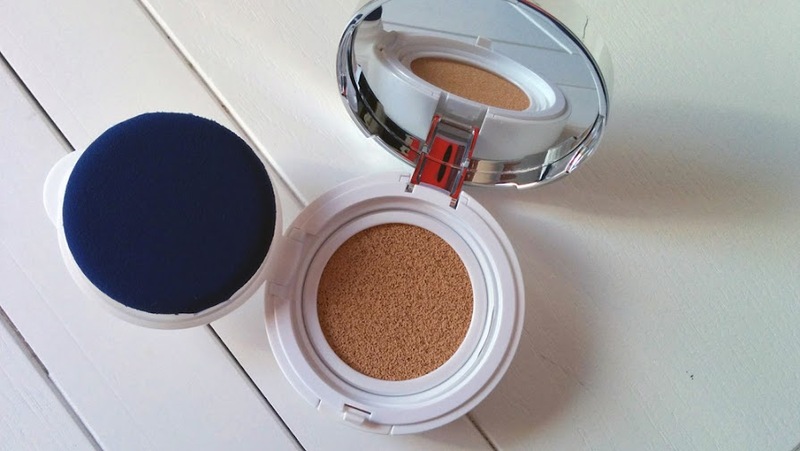 Lastly, the compact comes with a refill already and it's very easy to change it out. Now onto the bad parts. First, I don't particularly like the smell of the product. It actually smells similar to the Laneige Snow BB Cream that I used years ago. It has a slight floral perfume scent and I would've preferred if the product was scentless. Subsequently, those of you who are sensitive to scents would probably not like it as well. Secondly, the Light shade was way too yellow based - and this is coming from someone who has golden undertones in her skin! Not only was the shade too dark for me, it also oxidized horribly in only 10-15 minutes upon wear which made it look terribly orange on my skin. I could see that my neck and my face were different shades which is a huge makeup faux-pas! In conclusion, I'm returning the product since it's obviously not the product for me. On the up-side, I'm taking a trip to Korea later in the Fall and this will give me an opportunity to shop for a BB cushion there! You like to touchup on your makeup throughout the day. You prefer a high sunscreen factor in your foundation. You travel frequently and like to carry travel friendly makeup with you. You have fairly fair/pale skin. You are sensitive to fragrances in your makeup. I think I would love BB Cushions if I found a product that was my shade. I'm drawn to the fact that you can really touch it up on the go but it also provides a high SPF. 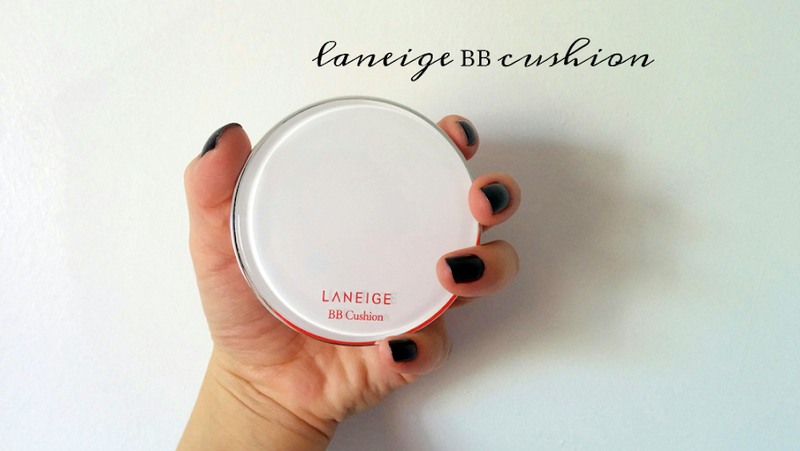 Unfortunately, the Laneige BB Cushion is just not for me. 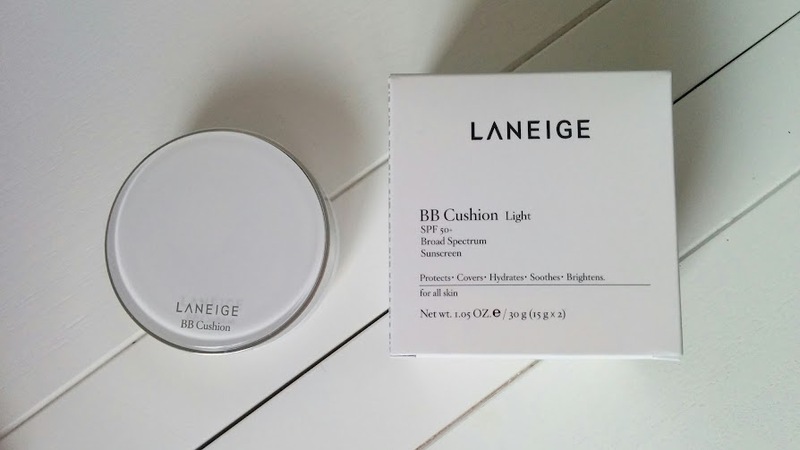 If you're interested in trying the Laneige BB Cushion out for yourself to see if it'll work with your skin, you can purchase it here via the Target website. Target has a great return policy and will accept beauty purchases even if they're used as long as they're returned within 90 days. I must try this product now! ^_^ Nice review. Hi January! You have a lovely blog & are off to a great start! My only suggestion is to simplify your layout and choose a background that doesn't distract from your content. You should also try to take bigger pictures if you can.